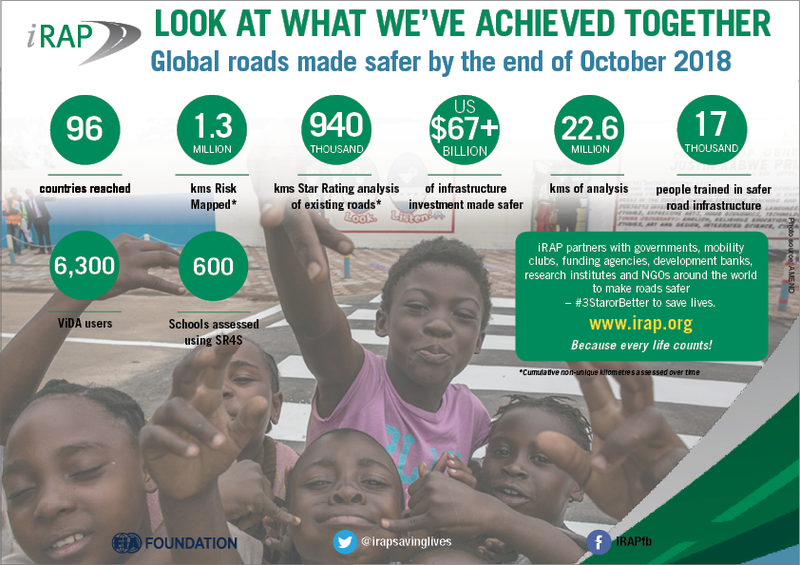 iRAP (the International Road Assessment Programme) is a registered charity and is the umbrella programme for Road Assessment Programmes (RAPs) worldwide that are working to save lives. Like many life-saving charities working in the public health arena, we use a robust, evidence-based approach to prevent unnecessary deaths and suffering. Our Risk Mapping, Star Rating, Safer Roads Investment Plans and Policy and Performance Tracking tools are helping partners across the world. Our iRAP family spirit connects people and partners worldwide to ensure we solve problems once and share success quickly. We benefit from the generosity of partners around the world including regional and national RAP programmes, national governments, development banks, mobility clubs, corporations and individual experts who share their time and energy with the charity. For information or support to Establish Your Own National or State iRAP programme, please contact us. 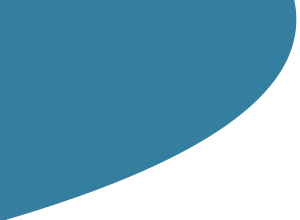 Core donor support for the iRAP global programme is provided by the FIA Foundation. 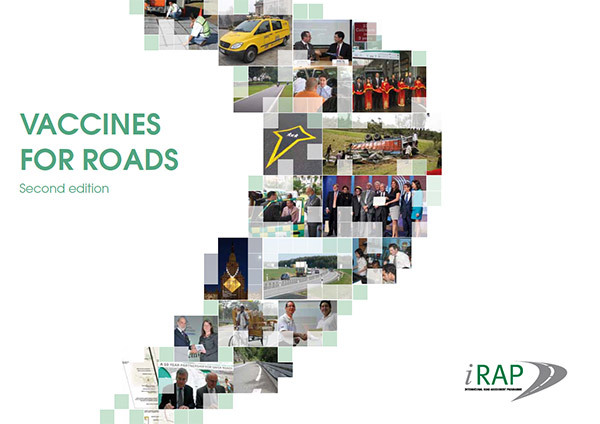 iRAP has been producing Vaccines for Roads for many years commencing with a focus on pilots, and moving onto projects, programme and now case studies of success and scale. 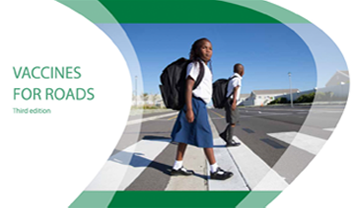 Vaccines for Roads IV (2018) and previous issues are downloadable below in various languages. 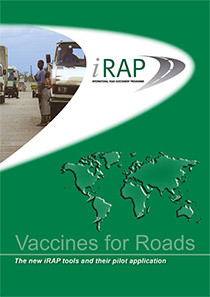 iRAP is indebted to the data holders who have allowed use of their data in VIDA which make this analysis possible, whether in governments, authorities, charities, mobility clubs, companies, research institutions, international treaty organisations, trade associations, or regional road assessment programmes including EuroRAP, AusRAP, usRAP, IndiaRAP, BrazilRAP and the more than 85 countries who have undertaken their own RAP assessments. The team at Advantage Data, in particular Damon Rasheed and Theo Voronov who have led the big data analysis. 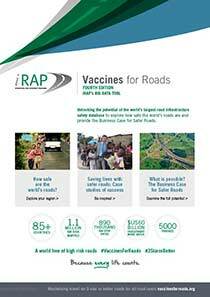 Meredith and Michael Evans, Evans and Hartshorn for Vaccines for Roads IV graphic design. Blair Cameron at Studio B Design for Vaccines for Roads IV website design. The iRAP team who helped develop the tools and always give a 5-star performance in helping our partners contribute to a world free of high-risk roads.